Aeonvista: PIKA Warp GSM Beta - finally built and integrated! PIKA Warp GSM Beta - finally built and integrated! OK so Easter arrived and I managed to get both a Holiday and catch up on the installation of the GSM card in the Warp. Since its a beta I kinda expected a little more work than usual, so I started with a clean build of my warp using the SD build (url here) to make sure all the basics worked. Following the instructions from the Beta user guide you have to load the new firmware directly into the flash, for this the best approach is to make sure you have the serial cable that came with the warp. "Ah - now where did I put that ribbon cable - I know I put it in a safe place?" OK - found it... 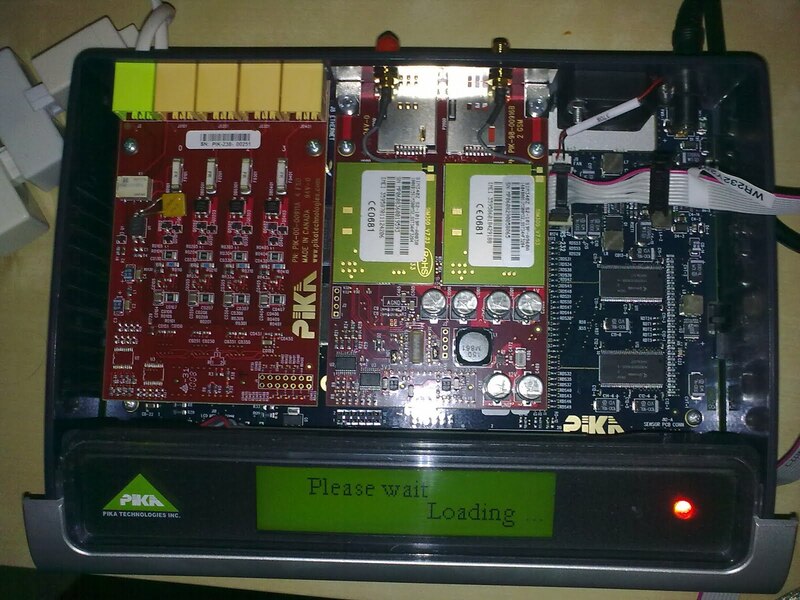 Here's the picture of the Warp with the Serial Ribbon cable and the GSM card installed. I use Putty as my favourite tool for ssh and serial connections - you can just about make out the putty terminal open on my Tosh Netbook screen. The observant reader might also spot the FXS card I have installed too. 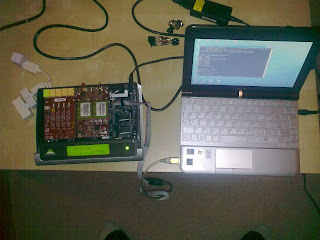 The instructions suggest using the warploader to write the u-boot and fpga files to the flash memory. I went with the upload everything from ftp server route. So I put all the files from the pikatech site (freepbx version) to the root of the ftp server directory on my laptop. My favourite tftp/bootp/dhcp/sntp/ server is the tftpd32 (http://tftpd32.jounin.net/) program, I've found this to be the most reliable program to use across a large range of devices (Snom, Cisco/Linksys, Netgear, Aastra, Polycom, AudioCodes ....). After uploading the firmware, boot files and persistent memory I reboot the Warp. Alas it failed to boot - phew - good job I found that ribbon cable - Checksum error on the boot loader. Over to the Warp wiki to find out why/what to do now.. This was in the user guide - but the user guide doesn't explain why you have to do it. That done, and I was off - around 20 - 30 mins later, I had a working system - well at least it was booting and I could add a GSM trunk. OK using SJ-Phone under Windows 7 - with the embedded mike on my laptop - really bad one way latency on the voice. 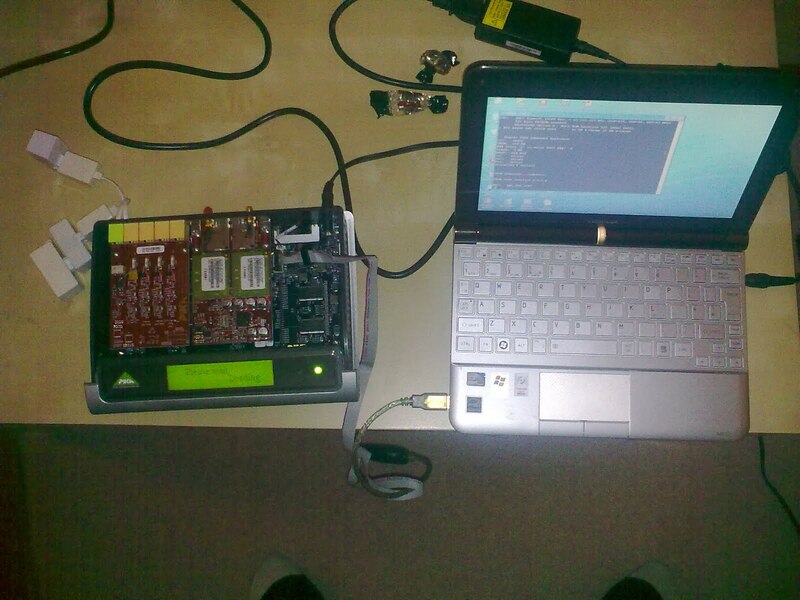 Time to fire up a hardware phone - Aastra 55i is nearby. Set that up as an extension - made the same call to my mobile - Ah much better.